Our second e-newsletter features a range of success across a number of the MIHCE programs and initiatives, especially in our international offerings. Prof. Leon Piterman, Director of our China GP Programs is currently hosting our second group of GPs from China, with a third group coming in September. 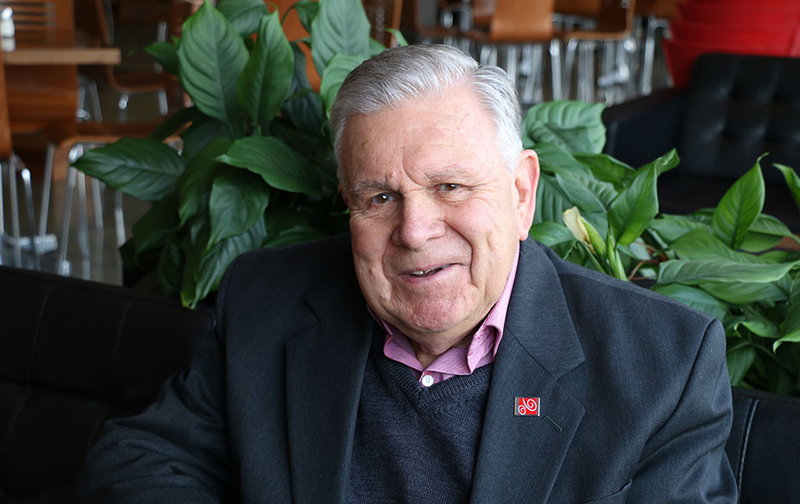 Our China GP programs continue to expand under the leadership of Prof. Piterman. His outstanding international reputation in general practice training extends to many parts of the globe, as confirmed by his recent appointment as Honorary Fellow of the Fiji College of General Practitioners. He joins Prof. John Murtagh as an Honorary Fellow of the Fiji College. The MIHCE is honored to be collaborating with the Department of General Practice on the 39th John Murtagh Update Conference to be held in November, 2017. Prof. Piterman is also collaborating with Profs. Jayashri Kulkarni and Ruth Salom on the MIHCE’s inaugural Skin, Mind, and Body Conference to be held at the Monash Prato Conference Centre in September, 2018. This conference includes a diverse range of experienced keynote speakers on general practice, psychiatry, neurology, pathology, dermatology and dermatopathology. 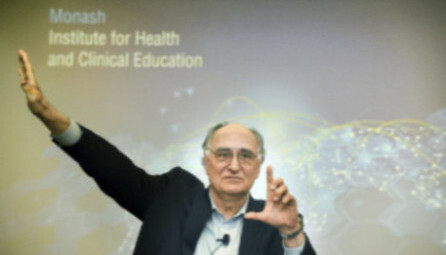 The MIHCE/Harvard Macy Institute collaboration has extended to the Middle East. The Leadership and Innovation in Health course is being conducted in Sharjah, UAE in November 2017. 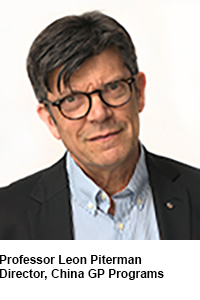 This e-newsletter features a report from A/Prof. Claire Palermo, our inaugural MIHCE/Harvard Macy Institute Scholarship recipient. Applications are open for the 2018 scholarship. Also featured is Louise Allen, our PhD student researching the impact of the MIHCE and Harvard Macy Institute course on our participants' professional careers. Both Claire and Louise attended the Leadership and Innovation in Health Care and Education course in Boston in June. Our local version of this course will run again in February, 2018 and is filling fast so register now to confirm your place. The impact of this course is evident by the number of local and international collaborations that have developed between past participants, and the many changes to work practices of individuals. I extend a sincere thank you to our previous course participants for keeping us informed of your various and many successes since completing this course. More information about our programs and initiatives are available on our website. We are continually adding new courses so visit us regularly. The MIHCE recently held a 3-day Assessment in Health Professional Education short course for Faculty of Medicine, Nursing, and Health Science staff. 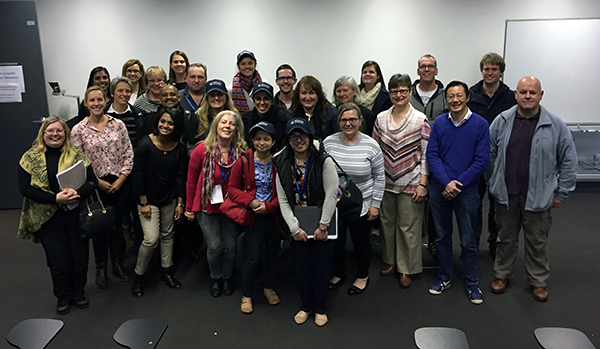 Clinical educators across a range of courses worked together to develop a programmatic assessment program for their disciplines. 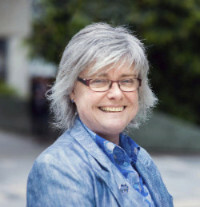 The MIHCE welcomed the return of A/Prof Mary Knab, from the Massachusetts General Hospital Institute for Health Professions, Boston, USA to teach with us again in this course. The feedback from course participants was highly positive, confirming the course was relevant to their clinical academic work in assessment. We are running the course in the Malaysia Medical School, Johor Bahru, in October, and several times next year. Mati Chinyanda, Program Manager for the MIHCE, attended the Australian and New Zealand Association for Health Professional Educators Conference in Adelaide on 11-14 July 2017. This was the MIHCE’s first presence as an exhibitor and was a great opportunity to introduce the MIHCE to fellow health professional educators. The MIHCE in collaboration with the Harvard Macy Institute, Harvard Medical School, Boston USA, has graduated two Leadership and Innovation in Health cohorts, the most recent in February, 2017. The participants enjoyed a week of collaboration with the course faculty and peers to understand and use design thinking processes to develop innovative ways to meet the healthcare needs of the community. The course attracts participants from all over Australia and internationally, including New Zealand, Japan, USA, Malaysia, Singapore, UAE, Indonesia, Brunei and the USA. Following Harvard Macy Institute tradition, seven scholars from the 2016 course returned as faculty, assisting with small and large group teaching across the week. As part of our collaboration with the Harvard Macy Institute, the MIHCE sponsors one academic staff member each year from the Faculty of Medicine, Nursing, and Health Sciences to attend one of the courses offered by the Harvard Macy Institute in Boston. Course details can be found at http://www.harvardmacy.org The MIHCE sponsorship will cover the full course fee for your selected course. Travel and accommodation costs are not included. If you are interested in this offer for 2018, please contact mihce-inquiries@monash.edu. Selection is based on timely application, a short description on how your attendance at your chosen course will enhance your work within the Faculty of MNHS, capacity of your proposed project to advance health professions education at Monash, confirmed support to attend from your Head of School or Department, and demonstrated capacity to finance the travel and accomodation aspects not covered under the MIHCE sponsorship. The MIHCE also requests that on your return from Boston, you provide a testimonial on your experiences and learning from the course you attended, collaborations formed, and other outcomes that have impacted or will impact your professional work. Attending the Harvard Macy Institute’s Leading Innovations in Health Care and Education course was a very special experience. Visiting the gorgeous city of Boston was a bonus on top of the challenging concepts and discussions I was exposed to over the course of six days. The course opened my eyes to new ways of thinking from the disciplines of business and engineering to innovate and lead change. I was inspired by stories of amazing leadership in health professions education, such as increasing access to socio-economically disadvantaged communities to study medicine only to return to their communities to deliver primary health care. From the key learnings on design thinking I have already commenced plans for incorporation into the teaching in the Bachelor of Nutrition Science at Monash. The “end user” concept associated with design thinking was an important reminder of the need to ensure students are at the forefront of the decisions I make in health professions education and research into the future. It also provided me with an opportunity to reflect on what we are doing well in Australia compared to the rest of the world, and although we still have much to do, I felt proud of our advances in inter-professional education and practice and our preventative health endeavours. It has provided me with key international contacts from which to advance my scholarship in health professions education research into the future. I feel very lucky to have been afforded this opportunity by the Monash Institute for Health and Clinical Education and the Harvard Macy Institute. The MIHCE, in association with INReSH (International Network for Researchers in Selection into Healthcare), an ASME (Association for the Study of Medical Education) extend a warm invitation to the second international Selection in the Health Professions Conference. 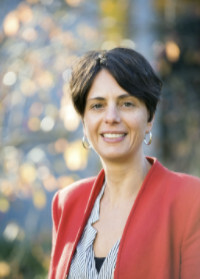 The conference will be held Melbourne, recently judged the will appeal to academics, clinicians and administrators across a broad range of health professions. 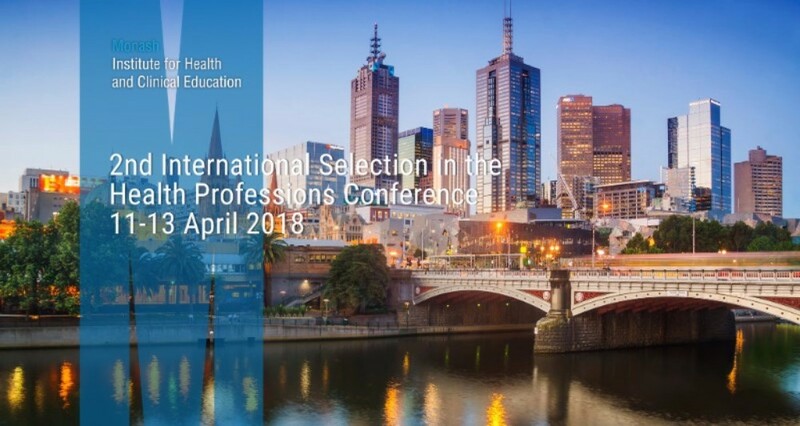 Featuring keynote presentations by world leaders involved in selection, and workforce planning across the continuum of health professions education and training, this conference will provide a quality forum for discussion and debate around best practice selection processes for health professions. Monash GP links with Fiji and China. The Fiji College of General Practice celebrated its 25th anniversary in the form of a medical conference conducted on June 29-July 2. Over 300 delegates gathered at the Shangri La Resort to join in the conference and its related festivities. 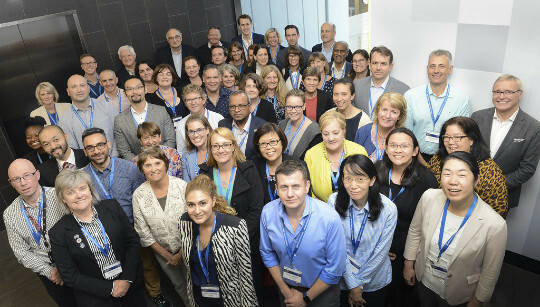 Many of these GPs and specialists form part of the vast Fijian medical and professional diaspora located in Australia, New Zealand and Canada. Professor John Murtagh and I were invited speakers and the organising committee paid special tribute to our personal commitment and that of Monash’s Department of General Practice to the establishment of the College and to ongoing support of the activities of the College. Several years ago Professor Murtagh was made an Honorary Fellow of the Fiji College. I was similarly honoured at this conference. Our links with Fiji go back over 25 years. In 1992 we launched our Diploma and Masters of Family Medicine in a distance learning mode. Amongst our initial cohort of overseas GPs, were a number from Fiji, including the current Conference Convenor Dr Ram Raju. The graduates of our post graduate courses formed the leadership group of the Fiji College. 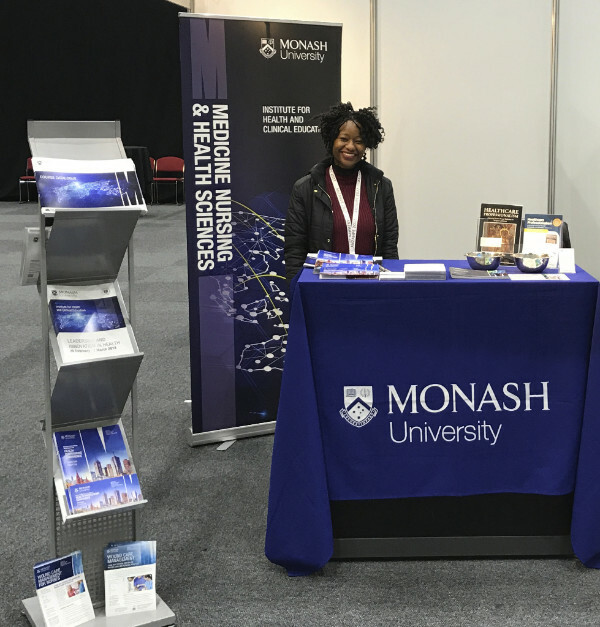 Monash continued to support the College’s CPD program and subsequently its Fellowship program, by providing resource material, attending their conferences and participating in assessment and mentorship. We have forged lasting friendships which have endured through changes in political leadership in that country. Honorary Fellowship is rarely awarded to overseas doctors, so I was deeply moved to receive such an award. As Australia’s largest “International University” with campuses and centres in most continents, I believe that we should not forget our Pacific neighbours and whenever possible assist them with education and training support. Our recent engagement in GP training in China is underpinned by the reputation that we have established through our work in SE Asia, the Middle East and the Pacific. 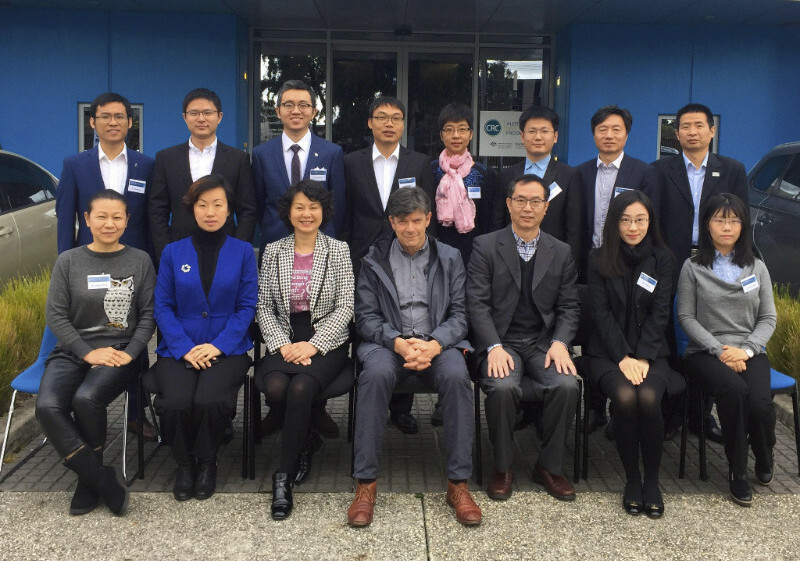 We currently have 12 GPs from Shenzhen in China undertaking a 13 week training program at Monash with another similar group commencing in September. Similar programs are being negotiated with other provinces in China on the strength of our success in training over 200 GPs from Shenzhen over a 7 year period. I am proud to have played a key role in each of these areas and look forward to expanding our China links as that country embarks on the massive task of training 170,000 GPs in the next 5 years. The newly established Monash Institute for Health and Clinical (MIHCE) is ideally placed to play a key role in this endeavour. China is undergoing substantial reform of its health system and is progressively shifting from a hospital based system to a community based system as it deals with the growing epidemic of non-communicable disease. Training a competent GP workforce is the corner stone in health care reform in China as it is elsewhere. Twelve Chinese general practitioners are currently being trained at Monash University’s Notting Hill campus in a three month training program focused on clinical leadership. The training commenced early June and will be completed at the end of August. The group is one of 9 cohorts which have received training at Monash. Since the inception of of the program in 2010, around 200 Chinese GPs , mostly from Shenzhen Province , have been trained at Monash. The training is one of a number of significant international initiatives of the MIHCE with Chinese partners. The aim of the program is to enhance the clinical and management capacity of Chinese Primary Care professionals. Professor Leon Piterman and Dr Hui Yang oversee the program which includes lectures, seminar discussions, workshops, and numerous external site visits including GP Clinic placements, hospitals and professional organisations. Trainees therefore gain a comprehensive view and understanding of the Australian health system and its operation in primary, secondary and tertiary settings. The next cohort (group of 10) will commence in early September. A delegation from Longhua District Shenzhen will also be visiting Monash University on August 29 and 30, 2017. I graduated from Monash University with an Honours Degree of Bachelor of Nutrition and Dietetics in 2012. Following my graduation, I worked as a clinical dietitian in a regional Hospital in eastern Victoria for 18 months. In 2014, I moved to London to work as a locum dietitian and do some travel, returning to Australia at the end of 2016. My interest in education was sparked by the contrast between the inspiring teachers and the ineffective teachers I had while completing my undergraduate degree, and by my love for learning. For this reason, I began to think about starting an education focused PhD. Working as a dietitian I was required to complete mandatory continuing professional development hours. While the topics of some of the conferences and the seminars I attended sounded interesting, I often found myself taking away less than I thought I would due to their didactic nature. The continuing professional development programs I got the most out of had some sort of interactive component that allowed me to work with my colleagues, and to problem solve. So, when I was given the opportunity by Professor Margaret Hay and A/Professor Claire Palermo to embark on a PhD in this area, I jumped. This year I commenced my PhD, which is looking at defining and determining the true impact of continuing professional development in the health professions. I will be inviting for scholars from the Monash Institute for Health and Clinical Education and the Harvard Macy Institute to be involved in my research. In June, I was lucky enough to experience first-hand the Leading Innovations in Health Care and Education course at the Harvard Macy Institute, Boston, USA. This has given me insight into the unique, intensive and immersive nature of these courses while allowing me to to see how people interact, share their experiences and form connections. It was a great opportunity to have some informal discussions with other scholars about their reasons for attending and I look forward to speaking with more of you in the future. A one day course for GPs on wound care and general practice. This is a didactic and hands on course which will cover topics on how wounds heal, what prevents healing, how to assess acute wounds, chronic wounds and decisions of what and how to dress wounds as well as the role and use of bandages and compression therapy. A one day course for Nurses on wound care in practice. 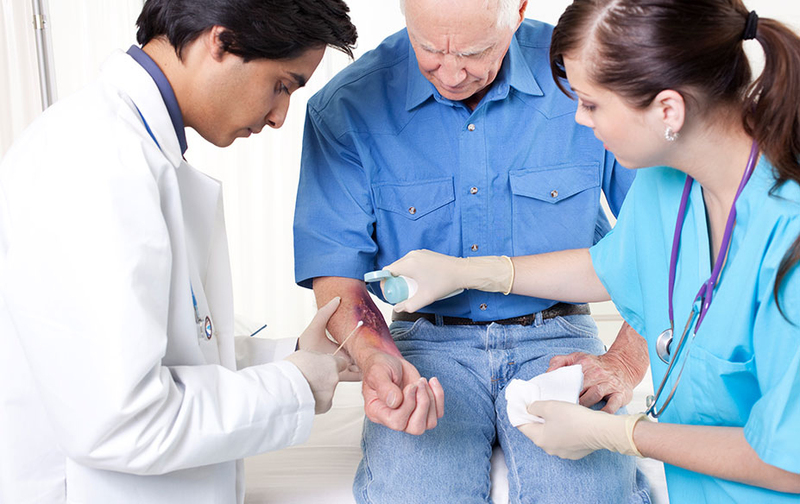 This is a didactic and hands on course which will cover topics on how wounds heal, what prevents healing, acute wounds, chronic wounds, infection and antiseptics, wound and patient assessment, and decisions of what and how to dress wounds. This includes the demonstration of products, as well as the role and use of bandages and compression therapy. “The Preceptorship” is an interactive learning model developed by Professor Eva Segelov covering landmark clinical trials in specific cancers, with mentorship from experts in the field. It has been applied in the areas of lung, colorectal and prostate cancers to aid trainees and junior consultants in understanding of the evolution of management and evidence behind contemporary clinical practice. The course is in its 39th year and is a regular feature of the postgraduate professional development calendar. The topics and presenters for this year’s program have been carefully selected and are based on both your recommendations and feedback from previous years’ Update Courses. Authorised by: Chief Marketing Officer, Strategic Marketing and Communications. 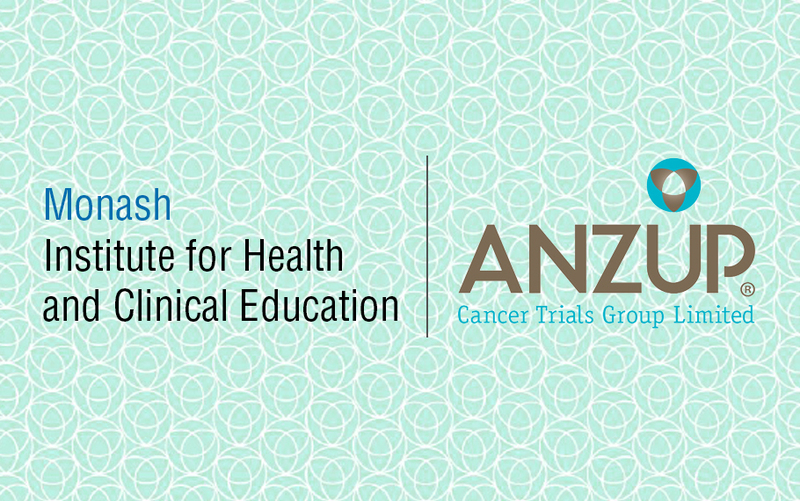 Maintained by: Monash Institute for Health and Clinical Education Webmaster Team. Last updated: Sep 2017.